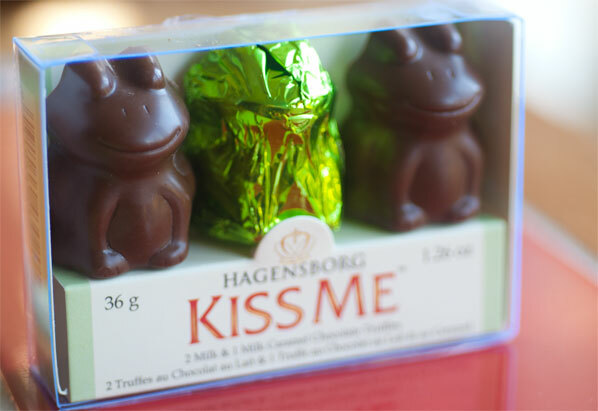 Walking in to Shelley Wallace‘s Hagensborg Chocolates, in Burnaby, just east of Vancouver, feels like walking into a friend’s home. Friendly staff move all over the office/warehouse/shoppe, doing a little bit of everything, whether serving customers at the counter, balancing the books, fixing the computers, making coffee or, in Shelley’s case, running the company. It feels happy, harmonious and above all, doesn’t take itself too seriously. 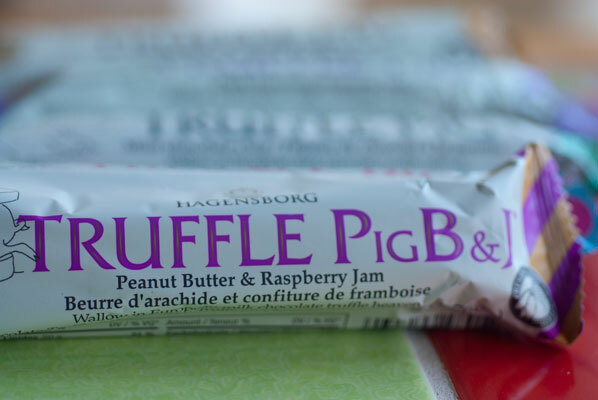 After all, Hagensborg’s mascot is a cheeky looking pig named Snuffly, who wallows, balances and dances across their signature line: the truffle pig bars. 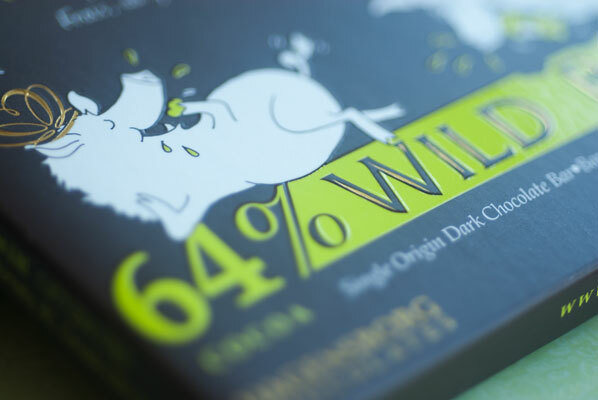 In eight different flavours: dark, dark mint, dark hazelnut, dark orange, milk chocolate, milk mocha, milk peanut butter, and white and dark chocolate raspberry, the bars are composed of Belgian chocolate, surrounding a molded pig-shaped chocolate truffle filling, in chocolate bar form. That works out to three recumbent pigs to a bar. Surprise and “Of course! How clever is that?” were exactly my responses, when I first spotted these bars a couple of years ago, in my local high-end grocery store. 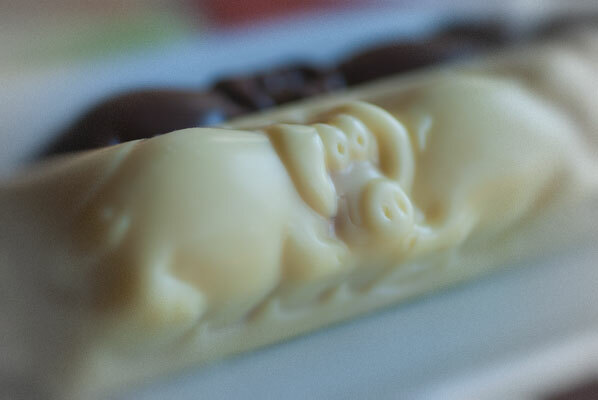 I bought one as a treat for my sons, but after having a bite (or a pig) of their peanut butter truffle bar, the next one I bought was for me. 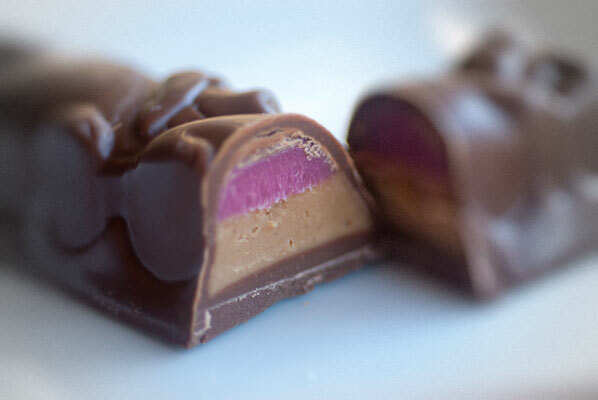 The chocolate is smooth, light and creamy, and the truffle filling is creamy, slightly salty with a rich peanut butter /chocolate flavor, not too sweet. 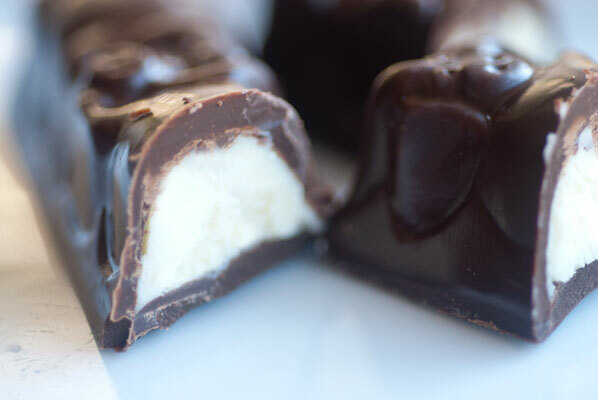 Easy to eat the whole thing without sharing, but it is nice to break into three. 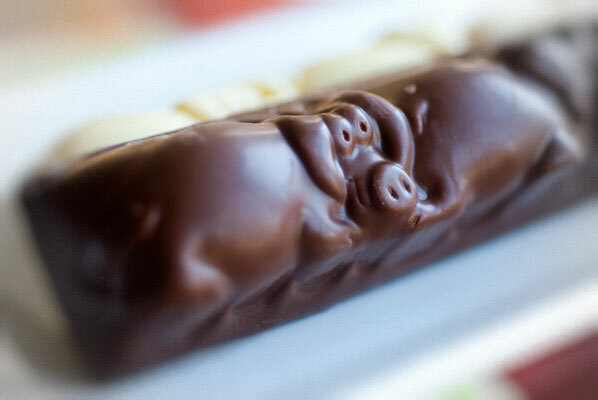 It also comes in a smaller “piglet” (one pig) size. You can buy a whole bag of these, displayed in a pretty bag, to put on your desk at work, thereby insuring your position as most popular office person. The way Shelley got into “the chocolate life” is a little different than many of the chocolatiers with whom I have spoken. After taking marketing in college, she raised two children, returned to work as a waitress in Vancouver’s renowned Four Season’s Hotel, learning the importance of impeccable service and attention to detail, and sampling fine cuisine, including the artistry of the, at that time, pastry chef Thomas Haas (who is now one of her favorite local chocolatiers). While contemplating a career change, she consulted some of her long-time customers at the Four Seasons, and among the many job offers, one of those customers mentioned he had a chocolate factory he was going to be shutting down. 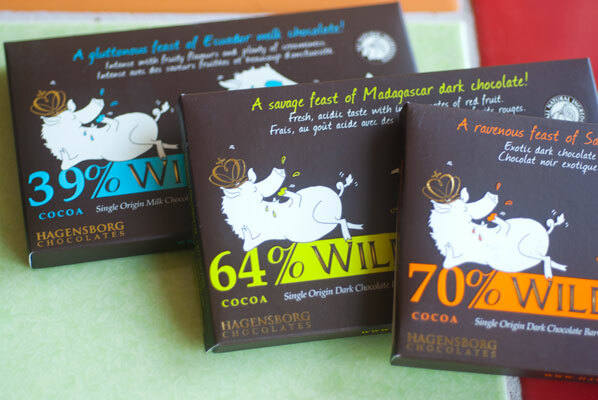 She decided to leave the Four Seasons, and devote herself to turning the Hagensborg Chocolates line into something unique. 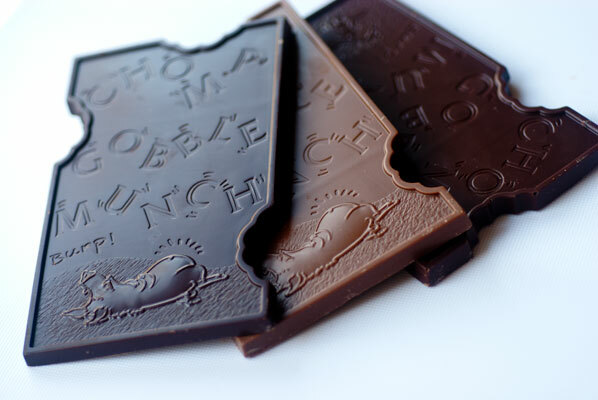 After successfully re-developing and re-branding the chocolate line, she bought out the name, and the brand and re-imagined the line into what it is today. 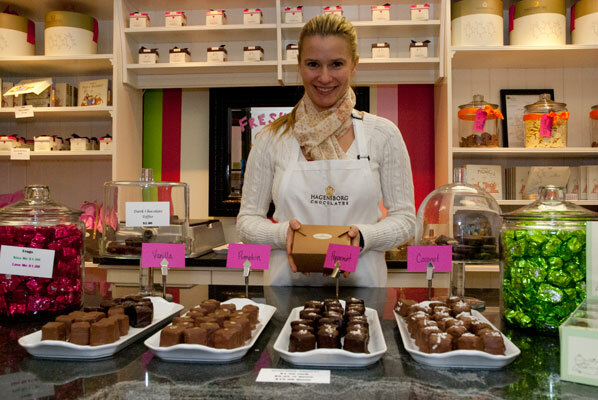 Highly skilled at sales and marketing, she put together a loyal team of people who have been with her “since the beginning”, including chocolatiers who devise the recipes from her suggestions and ideas. She is also refreshingly honest in admitting what she doesn’t know. 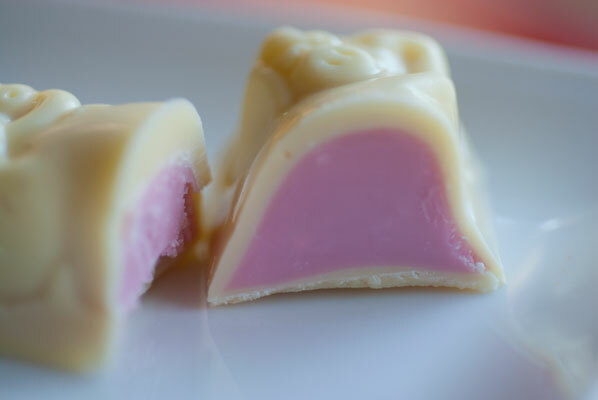 “I am not a chocolatier. Not yet. My role here has been product development, but right from the beginning, I would go down to the factory line. 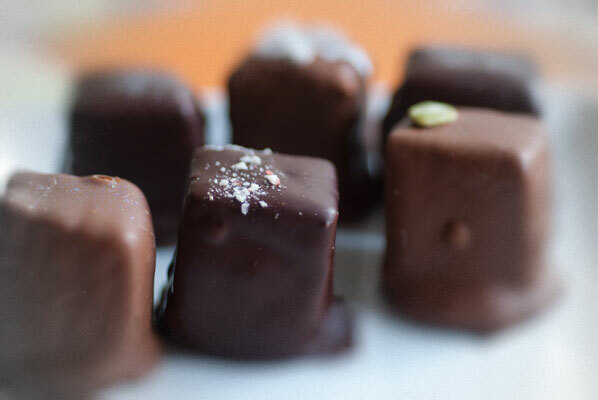 I always wanted to know how to do it – I wanted to learn to actually make chocolate. Ok yes, I own a company but I really need to learn how to make it. I know, it’s crazy. My story is almost opposite to a lot of people’s. 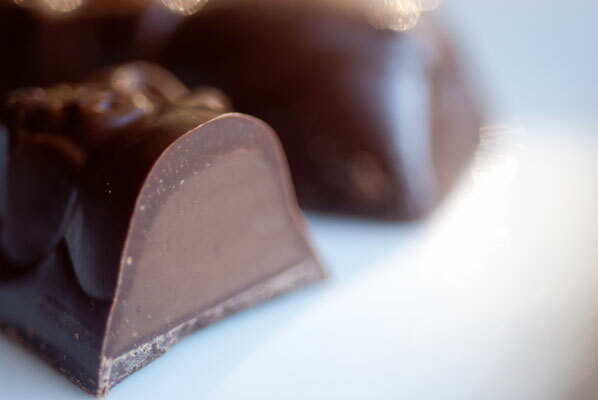 I had met Pam at some of the fancy food shows, and she was always very friendly, so when I found out about the program in France offered by Pam at Ecole Chocolat, off I went to Valrhona’s Ecole du Grand Chocolat, for a week. 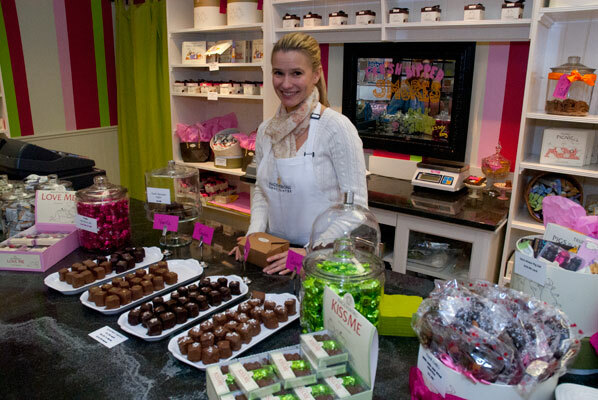 And just recently, Shelley has opened her first retail store – the one I visited the other day. 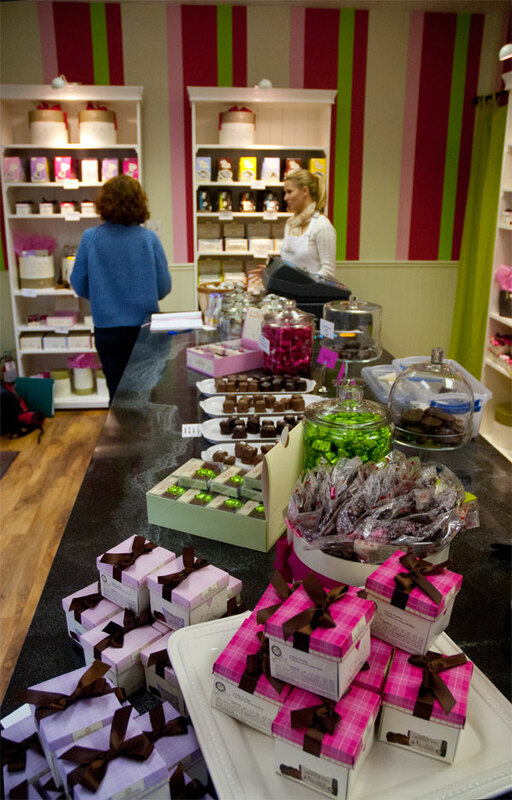 On the day of our visit, she has created trays of tasty hand dipped S’mores – the signature piece of the shop – surrounded by all the rest of the product line, displayed with her wonderful sense of whimsy, in hatboxes, pouches and “pignic” cigar boxes. A treat for the eye. And it just plain smells good! 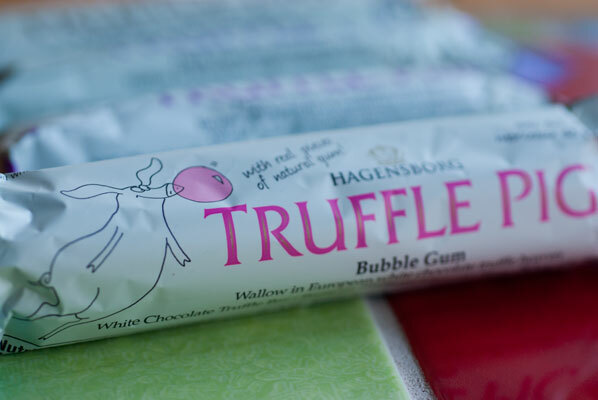 Recently, while feeling playful, she developed a new line of “nostalgia” bars, for the Truffle Pig line: Peanut Butter and Jelly, Chocolate Chip mint, and Bubblegum, with red cocoa butter and chewable pieces ‘like the ice-cream’. “The amount of ‘You’re doing WHAT?’ I got from that bar, was worth developing it just for that reaction. And I think there can be no doubt, she has succeeded, delicously.